Home Treadmills Buying Guide 2018-2019: This guide contains the best rated treadmills available in 2018-2019. Treadmills provide an excellent low impact method for walking or jogging. Walking is still considered one of the most beneficial cardiovascular exercises for people of all ages, body types, and fitness levels. As a fundamental form of aerobic training, walking has numerous physical benefits for the heart, lungs, and circulatory system, while also increasing muscle tone and burning fat calories. Treadmills provide a convenient way to regularly exercise in all weather conditions in the comfort and safety of your own home. Smart-Review limits reviews to only the Top Rated Home Treadmill Models. So you will not find all treadmill models on this site, but only those that meet our requirements, and the highest consumer ratings and reviews. 2018-2019 Treadmill Top Picks: Below are listed important treadmill features for comparison, an explanation of each feature, and our best rated and recommended treadmills listed under select features, such as maximum weight capacity, motor strength, and more. These are the highest rated treadmills in their price range. Best Rated Treadmills Under $600 – The following are our top picks in the sub $600 category. Best Rated Treadmills Under $700 – The following are our top picks in the sub $700 category. Best Rated Treadmills Under $1000 – The following are our top picks in the sub $1000 category. Best Rated Treadmills Under $1500 – The following are our top picks in the sub $1500 category. Best Rated Treadmills Under $2000 – The following are our top picks in the sub $2000 category. Best Rated Treadmills Under $2500 – The following are our top picks in the sub $2500 category. Best Rated Treadmills Under $3500 – The following are our top picks in the sub $3000 category. The Treadmill Motor – The motor is the heart of the treadmill. It provides the power to move the exercise tread. Motors are rated in horsepower (hp). In general terms, a larger motor can handle heavier loads and not strain as much. Lower priced treadmills have smaller motors. Most of our top-rated treadmills over $700 have motor warranties of 10 years or greater. If you weigh more, and/or will be doing jogging, running or very fast walking, you should get a treadmill with a more powerful motor. Running treadmills should be at least 3 horsepower. Its best to get a larger motor (with higher horsepower) as smaller motors that strain will burn out faster. Cheaper budget treadmills have weaker motors. Motors are rated by continuous duty horsepower. As a general rule, higher horsepower (hp) motors are better. All of our best rated treadmills have continuous duty motors which are designed to operate for extended periods of time. Best Treadmills for Runners – Buying a treadmill for running requires certain features and a high quality treadmill to assure a good running experience. This includes a longer running deck, since your stride will be longer than jogging (we recommend at least 58-inches in length). If you are a taller runner, go with a 60-inch deck or longer. The width of the deck is important too, at least 20 inches wide, while a 22-inch width is ideal. Another consideration is a stronger motor, at least 3.0 hp. If you have an under-powered motor, you could burn out the motor. One sign of a quality treadmill is a lifetime motor warranty. More expensive treadmills have better cushioning on the deck. A fixed (non-folding) treadmill will be more stable than a folding one. Treadmill with Decline Feature – Many treadmills come with an incline feature where the treadmill is tilted up in the front, simulating walking or running on a hill. A treadmill with a decline feature simulates running downhill and uses different muscles for a total training. These type of treadmills are rare, and of our top rated models, The Lifespan TR6000i has this feature, with 3 levels of decline. The TR6000i is a solidly built light commercial grade model, and is ideal for runners. The Lifespan TR4000i is the least expensive treadmill with decline. The Belt/Tread (Running Deck) – This is the surface that you will be walking, jogging, or running on. The size of this running deck is very important. A belt that is too narrow in width will be difficult to jog or run on as your feet tend to stray left and right a little bit. A running deck that is too short means you risk running off the end of the treadmill. The taller the person the longer running deck you will need as a tall person has a longer stride. Runners will also need a longer running deck. Cheaper, budget treadmills have shorter running decks. Also important is the cushioning of the tread. More expensive models have variable cushioning, and thicker running belts. You can vary how much “bounce” the treadmill has so that you can make it more appropriate for your style of exercise. 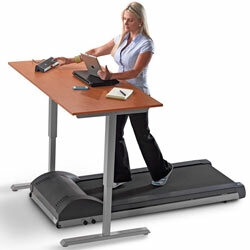 Walking Treadmill with Desk – A new type of treadmill which allows you to work while exercising is the Treadmill Desk. These type of treadmills are optimized for walking, and are very quiet. This allows you to access your computer, monitor, keyboard, laptop, phone and other equipment. The key advantage is that you can avoid sitting long hours when working and stand up (for better for posture), as well as burn calories and improve your health. These are not treadmills for runners, but perfect to work and exercise at the same time. These Desk Treadmills are designed for Quiet Operation. Most have a limit of 4mph (fast walking), and have height adjustment for the desk. Treadmill Electronic Console – Most treadmills come with an electronic console and screen that tells you how long you have been on the treadmill, the level of difficulty, the speed, and even heart rate. The console contains the computer and the screen. More expensive treadmills come with a number of built in performance programs. There are two types of displays, the LED (usually red or green), and LCD backlit screens. Some cheap, inexpensive treadmills have no backlight, so are harder to read. We are seeing more LCD screens in the newer models. You get what you pay for – This is especially important in treadmills. Lower priced, cheap treadmills will not be built as well as expensive ones. More expensive treadmills use heavy duty parts and are heavier in weight, should last longer, have stronger motors (more horsepower), and generally will have longer warranties. We have seen below average reviews for many of the “cheap” treadmills. Heavier treadmills (those weighing more than 250 lbs.) should feel more like gym treadmills and give more stability. The heavier the person, the heavier the treadmill you should buy. 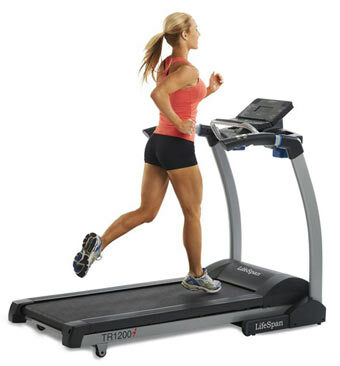 Buying a cheap treadmill may seem like a great deal, but is no bargain compared to better quality higher priced models. Price of Treadmills – We have found Amazon.com to be very competitive on the prices of treadmills and other exercise equipment. (Savings up to 40% off). Most of the time you will find the prices to be much cheaper than local stores, and in many cases Amazon provides free shipping. We also list direct from manufacturer links on this site and at the bottom of this page, to offer very competitive factory direct prices. Keep in mind that most people will have a treadmill delivered even if they buy from a local store, as treadmills can weigh anywhere from 100 – 300 lbs and higher. Manual Vs. Power Incline – Many treadmills come with an incline feature where the treadmill is tilted up in the front, simulating walking or running on a hill. With manual incline, you have to set it yourself before you start your workout. With power incline, you just press a button, and the treadmill will fall or rise whenever you want. 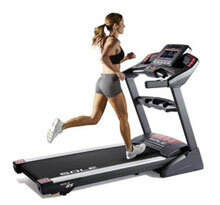 Related Article: Best Rated Home Treadmills with Power Incline feature. Maximum User Weight – This is the maximum recommended weight for a given treadmill. 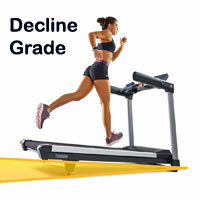 Smart-Review has listed the maximum user weight for each top rated treadmill. Choose a treadmill that is above your weight. The heavier the treadmill, the more stable. Generally the higher weight capacity, the higher the cost of the treadmill. 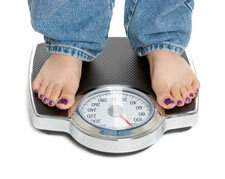 If you weigh close to the weight limit, consider going to the next weight level limit up. So if you weigh 240lbs., its better to go with the treadmill with a 300 lb. limit than one with a 250 lb. limit. Cheaper & inexpensive treadmills have lower weight limits. The farther you are from the weight limit, the better. Heavier duty motors are usually installed on the higher weight limit models. Best Folding Treadmills – Most treadmills fold up so you can store the treadmill in a smaller space. A folding treadmill can accept someone who weighs up to 350 lbs. Some treadmills do not fold up, so once assembled, you generally do not move them. Some fixed treadmills can accept user weights of 400 lbs and more. Commercial public gym treadmills are most likely to be the fixed, non-folding type, and can add to somewhat more stability than the folding types. 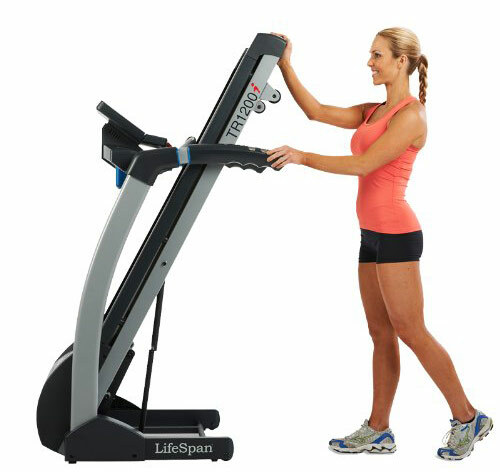 A new type of powered folding treadmill is available from Lifespan Fitness. LifeSpan has introduced the TR3000e Treadmill with eFold technology, which uses a motor to fold up the treadmill. Best Compact Fully Assembled Treadmills – Almost all treadmills, whether bought from the local store or online require some assembly. Some exceptions to assembly are the new treadmills which require no assembly. These treadmills are suitable for walking and light jogging (not for running marathons), except for our award winner 3G Cardio 80i which can do running as well. They are more for people of moderate weight and average height. They come fully assembled right out of the box. Most are limited to people who weigh under 250 lbs, but the 3G Cardio 80i (below) is rated at 325 lbs, with a 3HP motor. Treadmill with Heart Rate Monitoring – Many of our top-rated treadmills have pulse monitoring in the grips of the treadmill. Some also have chest strap monitoring. A wireless chest strap is more convenient since you don’t have to hold the grips to get a heart reading. Telemetry enabled treadmills have a built-in receiver which is compatible with 3rd party chest telemetry straps such as the Polar brand. Many treadmills have a heart rate program that can set the pace to keep a target heart rate. Treadmills with Power Folding – Lifespan fitness has introduced a new feature for its folding treadmills. The new feature is called eFold technology which is an electric fold feature, that allows you to fold or unfold your treadmill with the press of a button. This makes it easier to store your treadmill without having to lift it yourself. Commercial Treadmills – Commercial treadmills are high end machines that you typically see in your local gym or health club. They are well made, heavy duty, and made to last. Regular commercial treadmills are made to be used everyday, all day long. A “Light Commercial” Treadmill is meant to be used for less than 5 hours a day, typically used in Condominiums, rehab centers, hotels, corporate gyms, and for residential home use. Cheap & Inexpensive Treadmills – The term, “you get what you pay for” applies very strongly to treadmills. The lowest priced treadmills are not suitable for running, but can be suitable for walking and are more affordable. Many lower priced inexpensive treadmills have poor consumer reviews. Higher priced treadmills are made with higher quality parts, stronger motors, longer warranties, wider & longer running deck, and better features. They also have higher user weight limits. We recommend you spend as much as your budget will allow on higher priced treadmills to get a better machine which will last much longer, and run quieter. Most inexpensive and affordable treadmills are not the bargain you thought they were. Our Buying Guide only lists those treadmills with the highest rating in their price category. Tags: Best Motorized Treadmill, Best-Rated Foldable Treadmill, Best-Rated Non Folding Treadmill, Compact Treadmill, horizon fitness treadmill, lifespan fitness treadmill, nautilus treadmill, Treadmill, Treadmill for Home use, Treadmill User Weight Capacity Limit 250 lbs., Treadmill User Weight Capacity Limit 400 lbs., Treadmill with High User Weight Capacity Limit | 300 lbs., Treadmill with High Weight Capacity Limit 350 lbs.